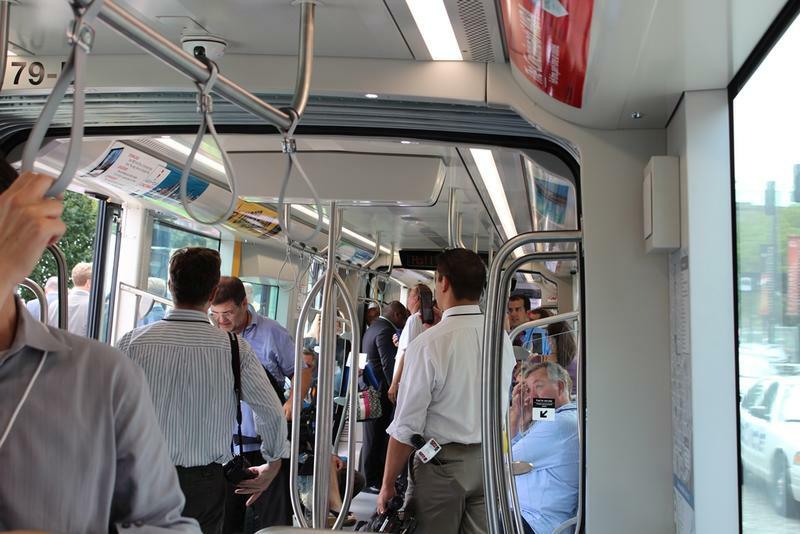 Some of the first official passengers riding the Cincinnati Bell Connector. Streetcars are lined up ahead of the inaugural circuit, which carried elected officials and other VIPs. Larry Fobiano of Hyde Park remembers riding the old streetcar system, which ended operations in 1951. Former Mayor Mark Mallory was on hand for the event saying, "Previous generations of Cincinnatians built great institutions of business and education. They invested in infrastructure. They build a railroad. They built wonderful neighborhoods and world-class arts and cultural institutions. With this project, we have joined their ranks as a generation not afraid to take on challenges, to make sacrifices and build for the future." "It's way more than just a piece of transportation. It's representative of where this city is headed and the momentum that is has brought has really brought this city along." Mallory successor, Mayor John Cranley says the Cincinnati Bell Connector will highlight the city's renaissance for the passengers. 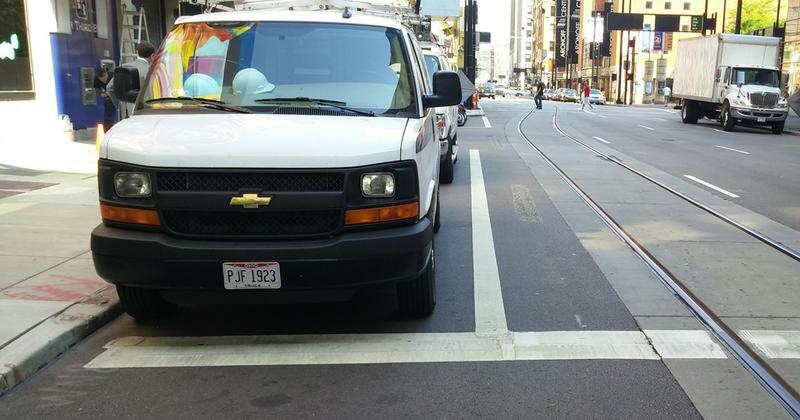 "I intend to be one of those passengers, which is why I bought this streetcar pass. I look forward to riding with all of you." The opening drew several hundred people, including some from out of town. Jenny Kessler Klump moved to Baltimore three years ago, but returned for the opening weekend. She was an original supporter of the project. Jerome Horne works for the transit system in Indianapolis. He says that city is working on a rapid transit line and he came to see how Cincinnati's works. "Seeing how accessible it is for those that maybe have disabilities and listening to the automated announcements, and just enjoying the ride, and seeing what it has to offer the city and watching the reactions of the public in particular, how the react to riding the streetcar for the first time." Streetcar rides are free through the weekend. Starting Monday, they'll cost $1 for two hours, or $2 for all day. 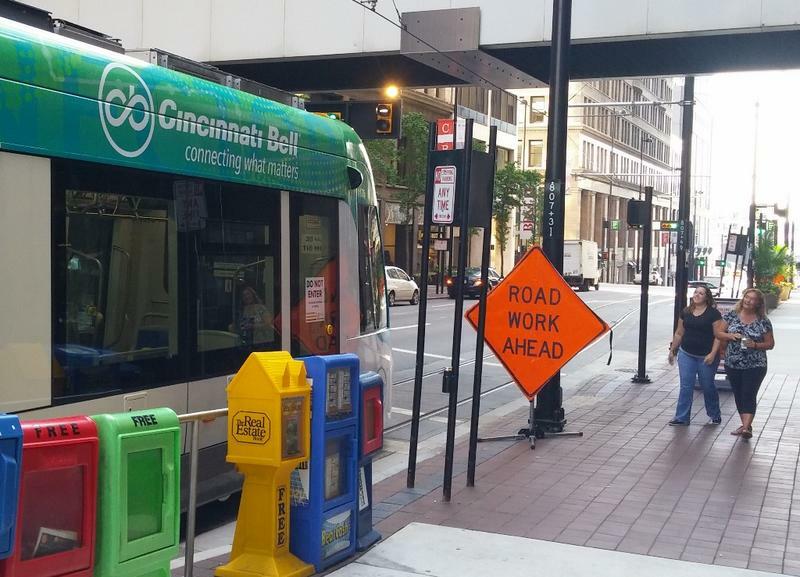 After years of planning, as of noon on Friday, Sept. 9, the Cincinnati Bell Connector, AKA, the Cincinnati streetcar is open for business. If you're thinking about taking a ride but are unsure of how everything works, here's a handy guide. It has been a long time coming, but the Cincinnati streetcar will officially begin carrying passengers Friday. There have been many ups and downs for the streetcar project. After years of planning, a three to four week work stoppage in 2013 that nearly killed it and months of construction, the system is ready to go.